This panel is part of a series of wall reliefs excavated from the Assyrian king Sennacherib’s (ruled 705–681 BCE) palace at Nineveh. The panels records the Assyrian siege and eventual capture of the city of Lachish. The panel shown here depicts Assyrian soldiers carrying away cultic items from the city. Lachish was one of the most important cities in Judah, perhaps second only to Jerusalem, and it played an important role in the administration and military strength of the kingdom. Sennacherib’s army's siege of Lachish is reported in 2 Kings 18–19 (cf. Isaiah 36–37). On the upper left hand side of the relief the besieged city of Lachish is shown, with archers and siege engines (perhaps spiked battering rams) attacking the walls. On the upper level there are various trees, which probably represent the journey to Assyria on which the deportees in the bottom two registers are embarking. 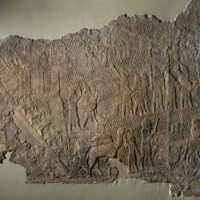 In the middle register Neo-Assyrian soldiers can be seen carrying away the spoils of war. These include a chariot and shields and, to the right of those pulling the chariot, two figures are shown carrying incense stands or burners. These are cultic (religious) items that have been looted from the city, either from its main shrine or from private homes. Cultic items were a prized spoil of war, because they symbolised the defeat of the god associated with them, and the power of the god of the attacking forces. A similar practice may be seen on one of Tiglath-pileser III's wall reliefs. The Bible does not record the Assyrians plunder of cultic items during Sennacherib's invasion (perhaps because Hezekiah was supposed to have destroyed them, according 2 Kings 18:4), but it does report that the Babylonians took cultic items away from the Temple of Yhwh when they attacked Jerusalem in 597 BCE and when they destroyed it in 586 BCE (2 Kings 24:13; 25:13–17). 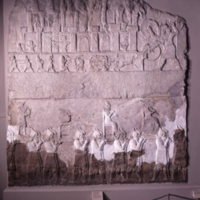 This wall panel from the South West Palace of the Assyrian king Tiglath-pileser III (ruled 745–727 BCE) shows Assyrian soldiers carrying away four statues of gods, captured from a city the army has just conquered. Although the exact location of the city is unknown, it was perhaps in Syria. The relief depicts the practice of 'godnapping', in which a conquering army carried off statues of the defeated enemy's gods. Although the exact contents of the Jerusalem temple when it was destroyed by the Babylonians in 586 BCE are unknown—Ezekiel 8–11 claims that all manner of objects and practices were present—it is likely that the Babylonian army would have carted off whatever it found there.Deporting the statues of the defeated people's gods demonstrated the power of the Assyrian or Babylonian king's god, who had enabled his victory by defeating the gods of the conquered. The destruction of Jerusalem and its temple by the Babylonians posed a major theological crisis for the defeated people of Judah, because it implied that Yhwh was weaker than the Babylonian gods. Many texts from this period seek to understand how this could have happened. Rather than admit that Yhwh was weaker than the Babylonian gods, however, most of these texts (such as Ezekiel) argue that Yhwh has authority over all of human history, and that the disaster was punishment for their accumulated sins, including and especially the worship of other gods. 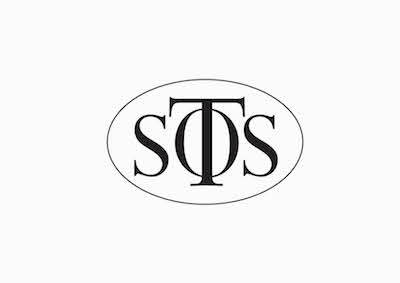 The experience of defeat and deportation thus was an important contributor to the theological development of the idea that the Israelites should only worship one god and, ultimately, that their god was the god of all.